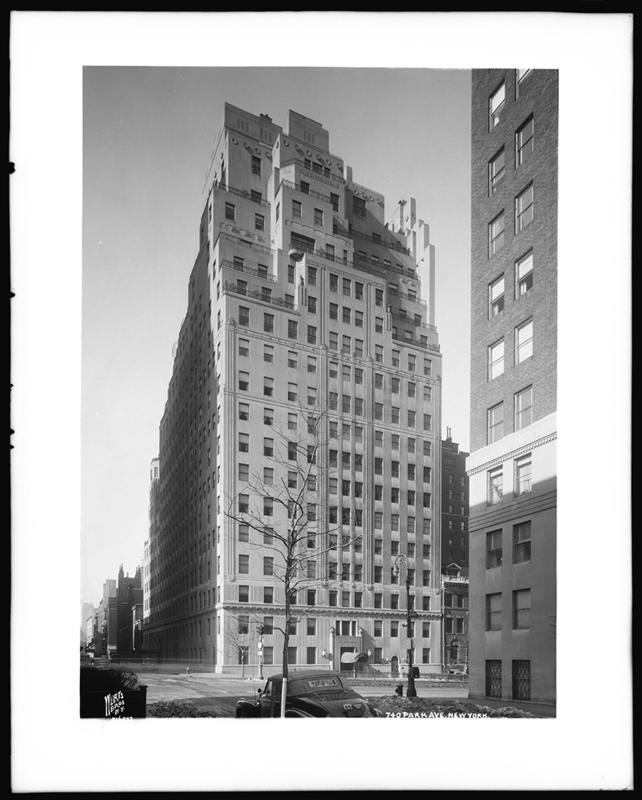 Though he may not have had a household name, few architects have had as lasting an impact on New York City as Rosario Candela. 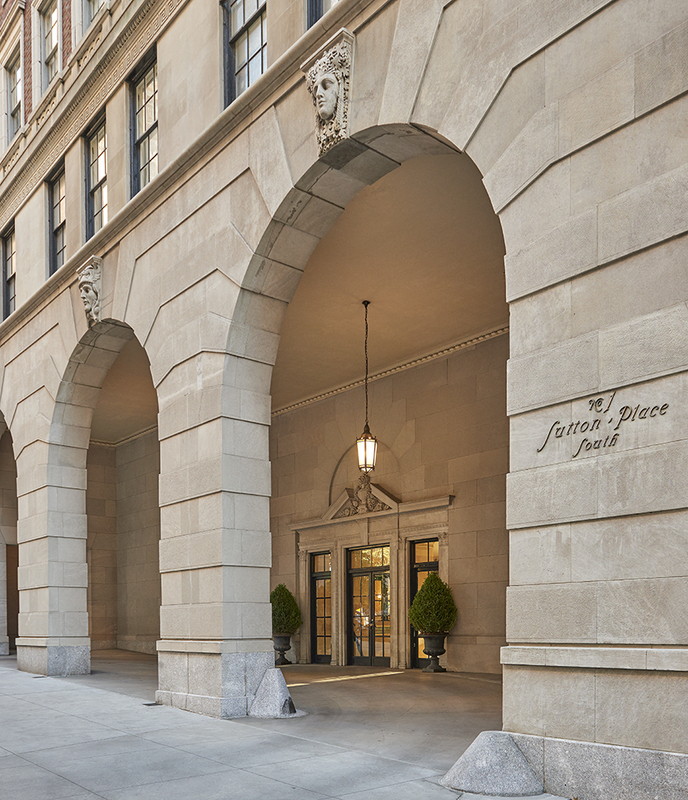 Since they were built almost a century ago, his buildings have come to define several of the city’s neighborhoods and have set a standard for classic refinement among the real estate community. 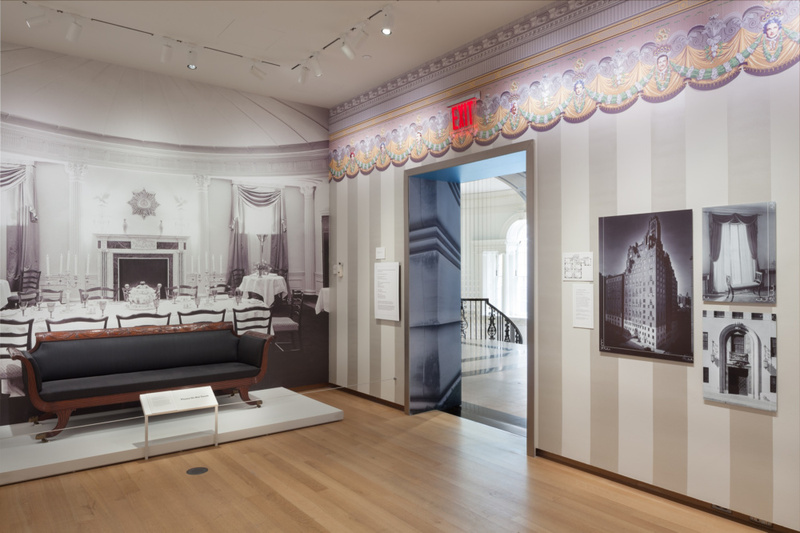 The Museum of the City of New York’s Elegance in the Sky: The Architecture of Rosario Candela is an informative, concise, and accessible exhibition covering the work and life of the prolific early 20th century architect. The exhibition is curated by Donald Albrecht and designed by New York-based architect Peter Pennoyer, with Tsang Seymour overseeing the project’s graphic design. Rosario Candela was born in 1890 in the Sicilian town of Montelepre, immigrating to New York City in approximately 1910. 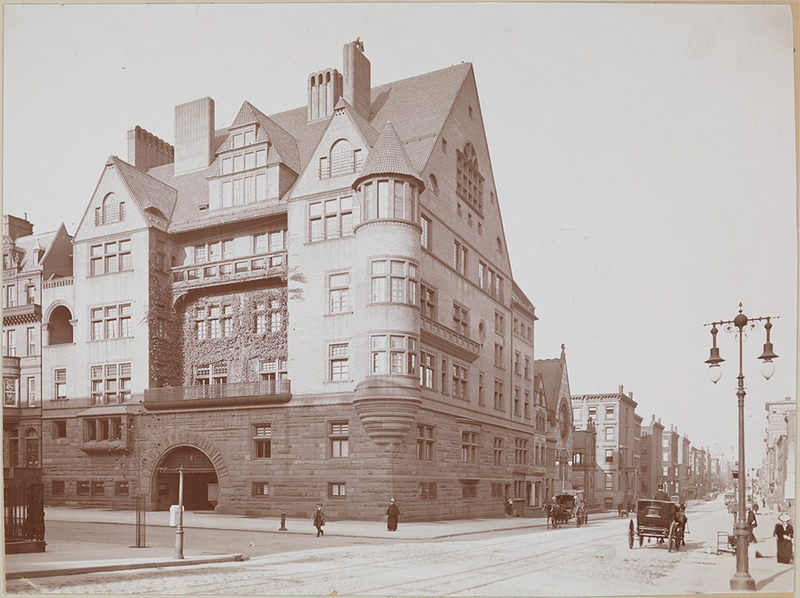 Although he struggled with English, Candela enrolled in Columbia University’s School of Architecture and graduated in 1915. The Sicilian immigrant’s early mastery of design—and self-confidence—was soon evident, as documented by architectural historian Christopher Gray, who described the young Candela cordoning off his drafting table with a velvet rope to prevent competing students from copying his work. 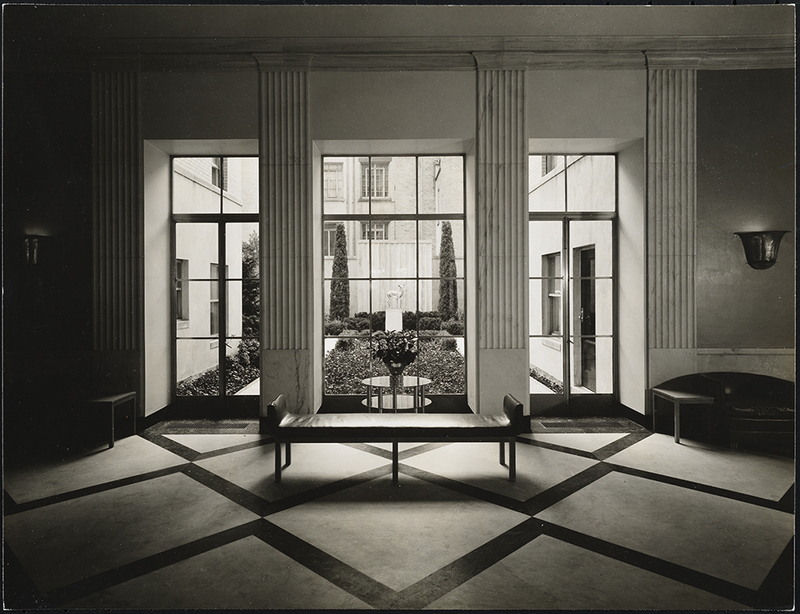 Candela began his career as a draftsman for fellow Sicilian-American architect Gaetan Ajello, whose firm designed dozens of Renaissance Revival and Neoclassical residential and commercial properties across Manhattan’s Upper West Side. 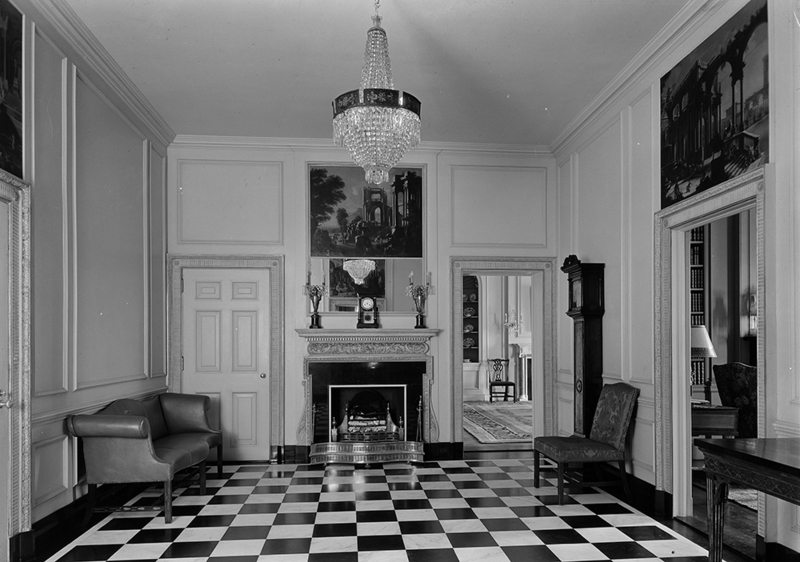 The young architect established his own firm in 1920, positioning himself to take full advantage of the astronomical wealth of the Jazz Age. For curator Donald Albrecht, one of the challenges of the exhibit was ensuring that the show was less a catalogue of Candela’s prolific 75-building body of work, and more a narrative embedding his career within a rapidly changing city. 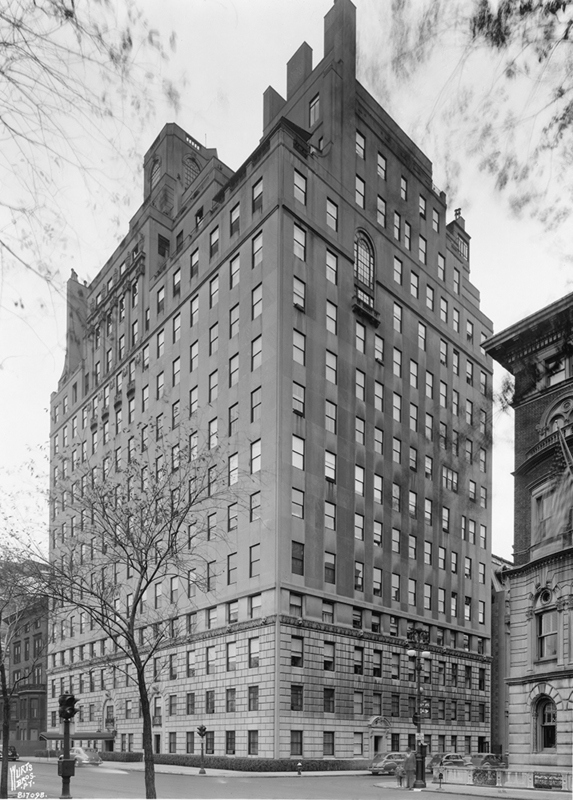 To this end, Candela’s canon is cut down to 13 examples that chart his range of styles and their impact on Manhattan’s streetscape. Photography and digital animation are the primary media for the exhibition, showcasing both exteriors and interiors of Candela’s residential towers. Furnishings and ephemera dating from the era play a supporting, but significant role in bringing the subject’s social narrative to life. At street level, Candela’s architectural design is remarkable in its ability to simultaneously blend with the overarching streetscape whilst establishing a distinguishable individual presence. 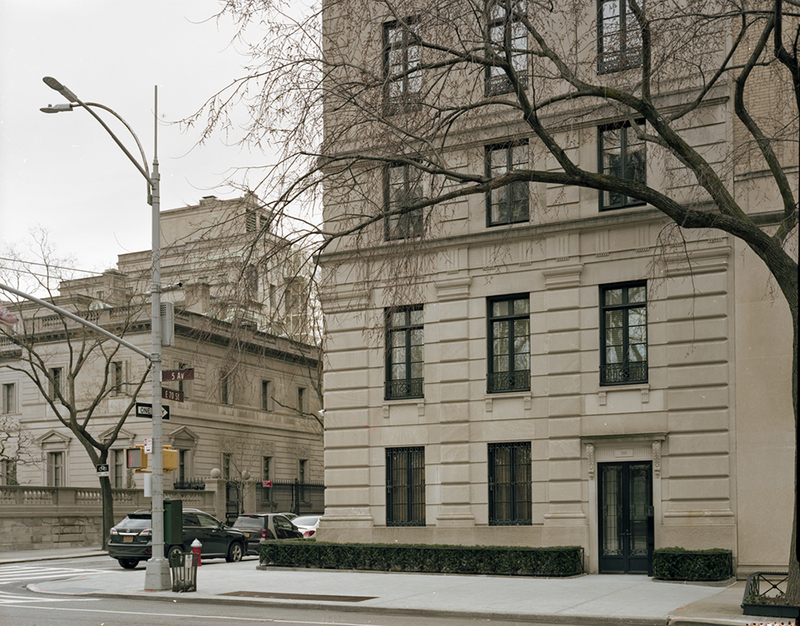 The exhibition begins with an immense print of the dramatically terraced rooflines of 770 and 778 Park Avenue. In typical Candela fashion, the two Neo-Georgian and Renaissance Revival style buildings are elegant and unassuming, with relatively modest brownish-red brick facades standing on delicately detailed limestone bases. 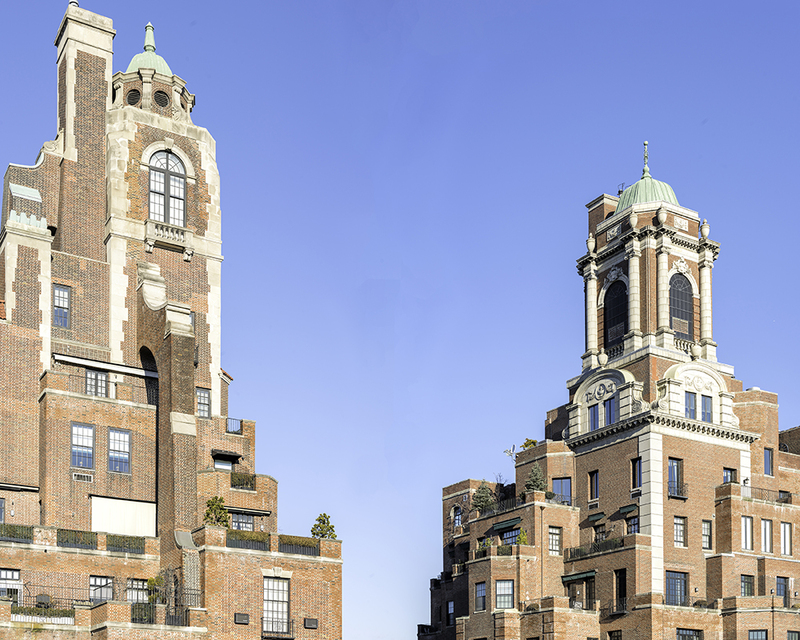 Matching the cornice line of neighboring developments, Candela took advantage of zoning codes that required setbacks to create wildly asymmetrical terraced rooftops, adorned with historicist motifs such as flying buttresses, quoins, urns, and cupola-ensconced water towers. 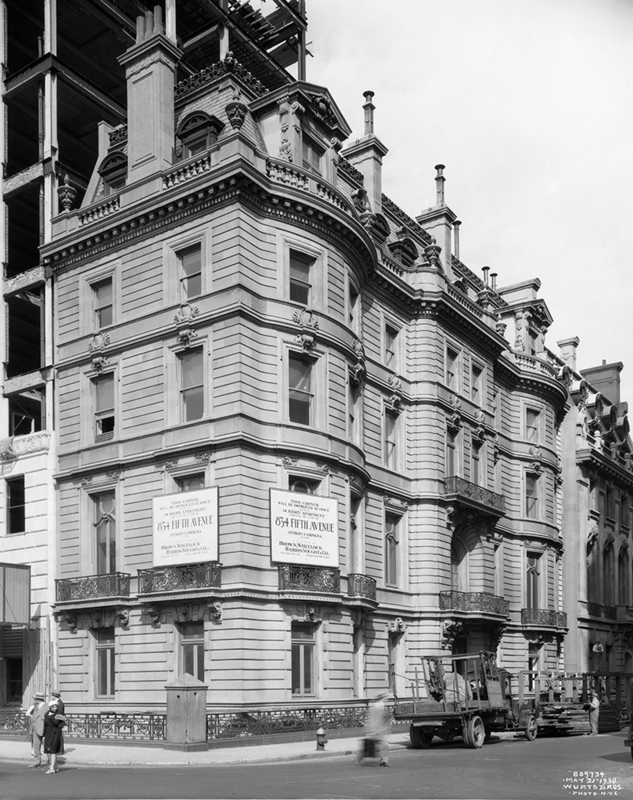 Although Rosario Candela’s work is now located in some of New York City’s most desirable neighborhoods, shifting the city’s wealthy from Victorian and French Renaissance mansions elsewhere to uptown apartment living required some persuasion. 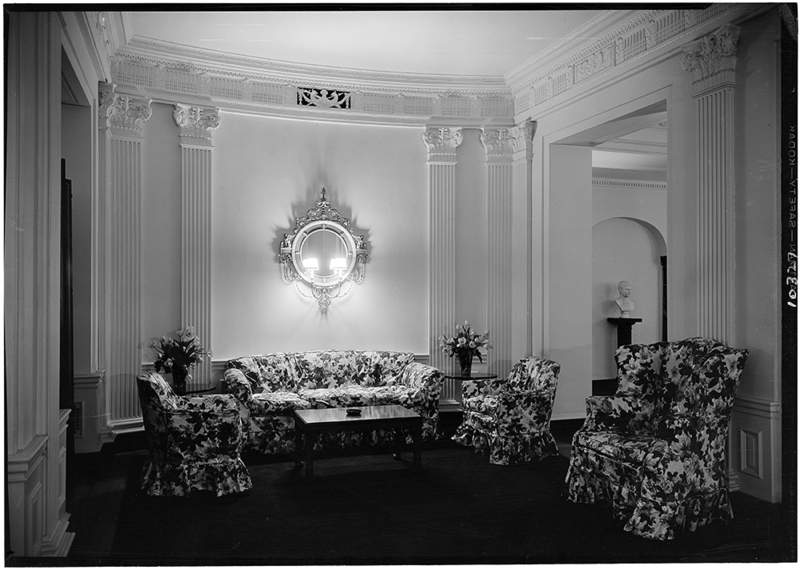 In a statement, Albrecht notes that “a key theme of the exhibition focuses on the economic history and ingenious marketing campaigns that convinced the wealthy to give up their private homes and move into apartments designed by Candela.” Featured in the exhibition are a number of brochures stemming from these efforts that promised potential tenants the luxury and exclusivity of a family manor with the comforts of apartment living. 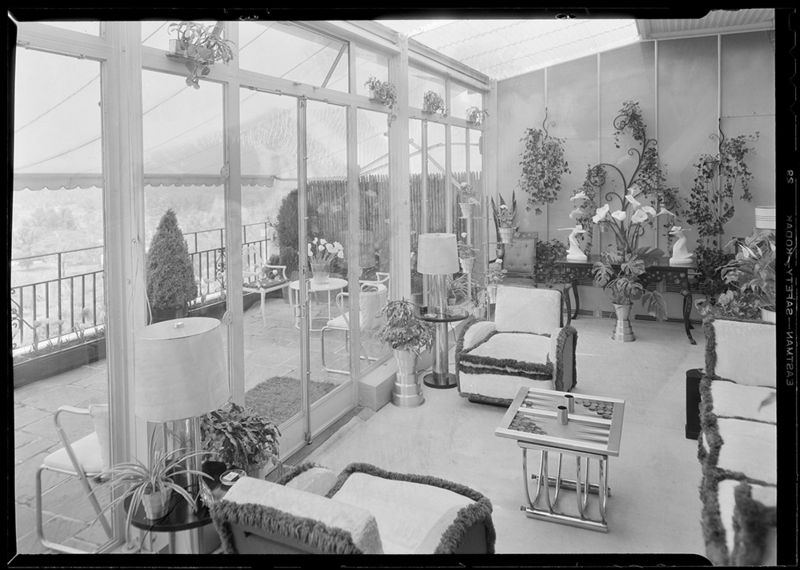 Additionally, many of Candela’s project were built as exclusionary residential cooperatives, allowing the city’s elite to segregate themselves from those they deemed less desirable. 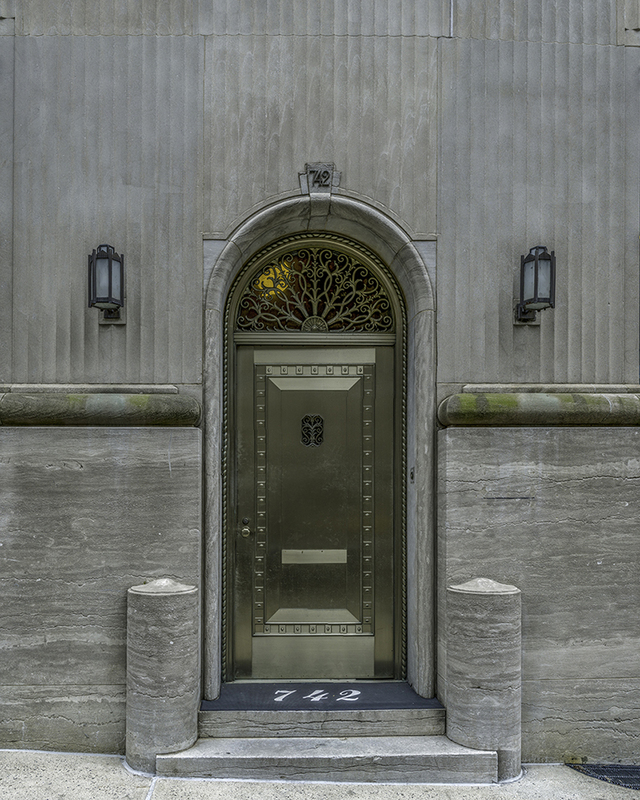 Completed in 1930 at the onset of the Great Depression, Candela’s limestone-clad Art Deco 740 Park Avenue is seen as the summit of the architect’s career. 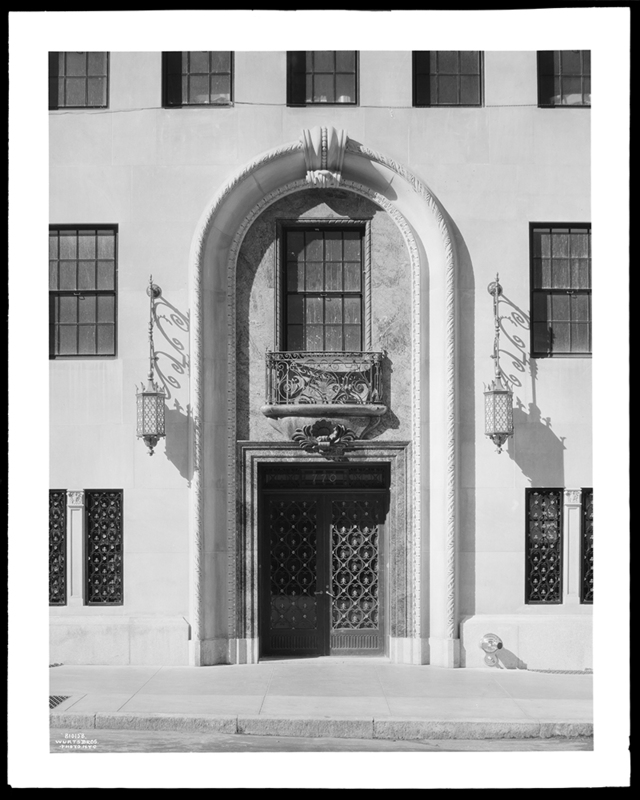 While the facade announces the upper-class status of the co-op, it is the interior composition that sets it apart from surrounding residences. The building is split between four types of apartments: mansionettes with individual street entrances, a series of duplexes, and full-floor apartments, topped by a luxurious penthouse. 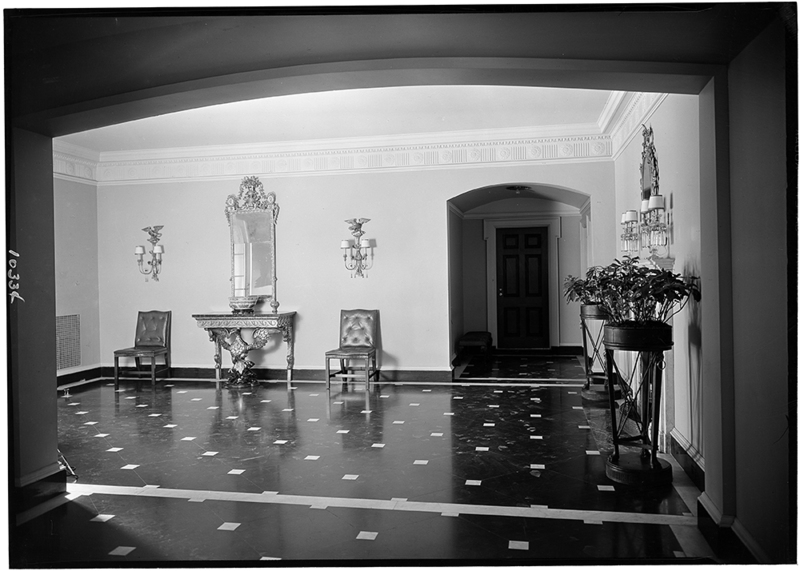 Past and current residents read as a register of the nation’s political and economic elite, ranging from Jackie Kennedy to John D. Rockefeller. A centrally-placed digital animation of 960 Fifth Avenue is perhaps the finest curatorial tool in the exhibition, and it highlights Candela’s innovative approach to floorplan layouts and his segmentation of luxury residential properties into a diverse range of units. The videographic, created with Lumion architectural rendering software, effectively displays the division of the building into a western portion composed of single-story and duplex apartments, and an eastern wing made up of one- to two-bedroom rental units for upper-class families who predominantly resided in country estates. 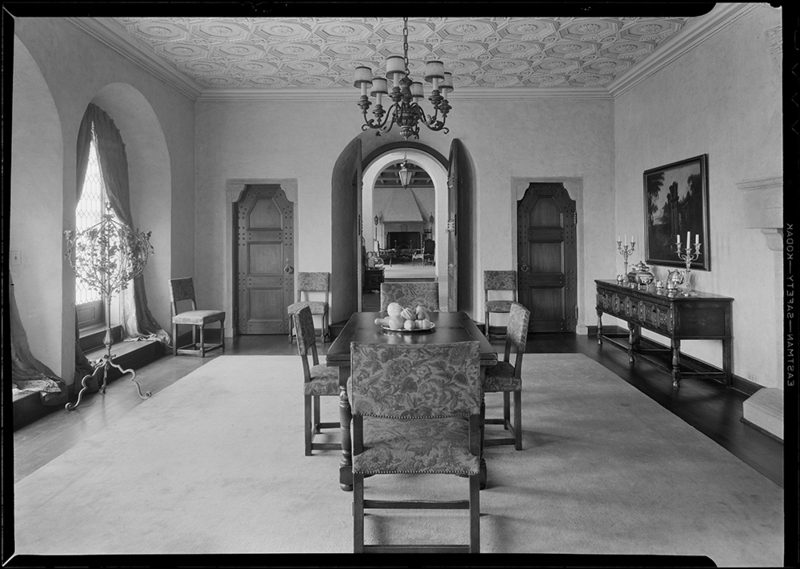 Faithful to Albrecht’s curatorial mission to break outside the confines of architectural history, Elegance in the Sky also includes the catastrophic impact the Great Depression had on Rosario Candela’s dizzying rise as a top-tier architect, essentially leveling all future prospects of prestigious projects. Consequently, the architect left the profession and turned towards the field of cryptography, ultimately creating an unbreakable encryption method used by the American government during World War II. Candela would go on to write two books on the subject and take up a professorship at Hunter College. 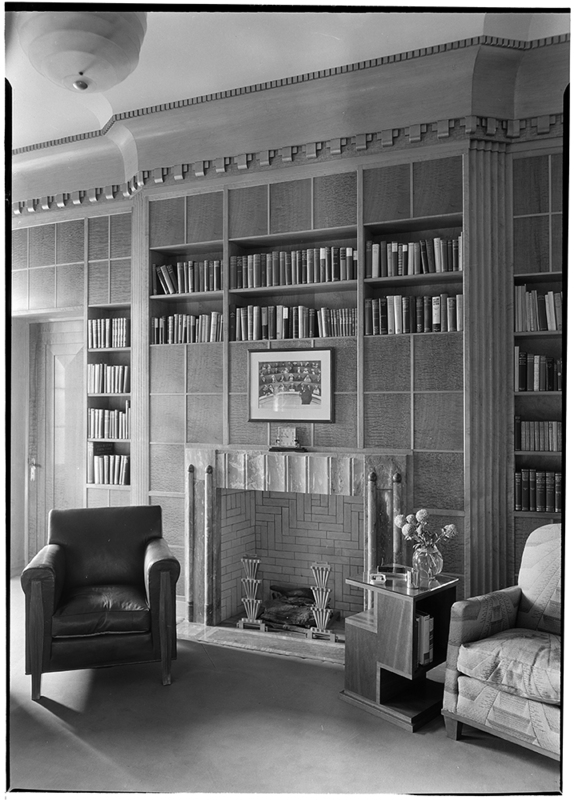 Although purely based on Candela family lore, Albrecht notes that the architect’s involvement with the Office of Strategic Services could be a factor behind the near complete lack of original renderings, with the forerunner of the Central Intelligence Agency seizing documents from Candela’s study following his death in 1953. 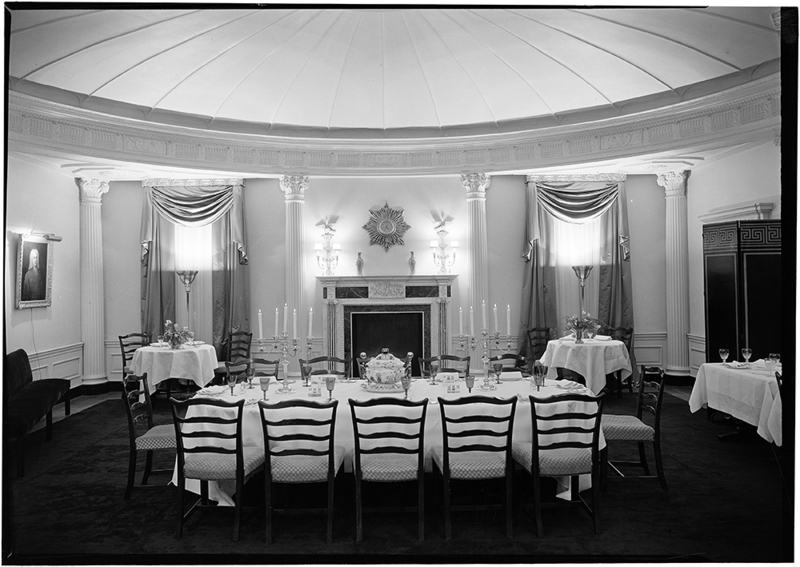 In a nod to Candela’s apartments’ classical interior detailing and the designer’s involvement in cryptography, Peter Pennoyer wrapped the entire exhibition space in a decorative frieze featuring mullions, egg-and-dart detailing, fluting, and a band of Morse code spelling out the architect’s full name. 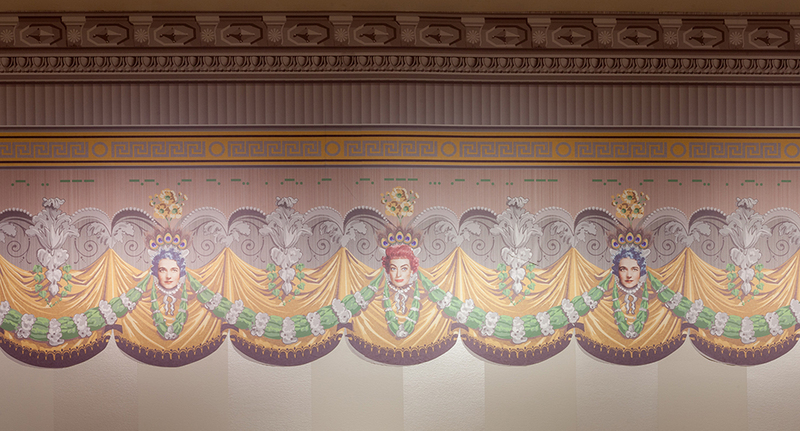 In similar fashion, facial profiles of those involved in his career, including longtime collaborators, designer Dorothy Draper, and developers Charles and Joseph Paterno, are colorfully sketched below the decorative frieze. 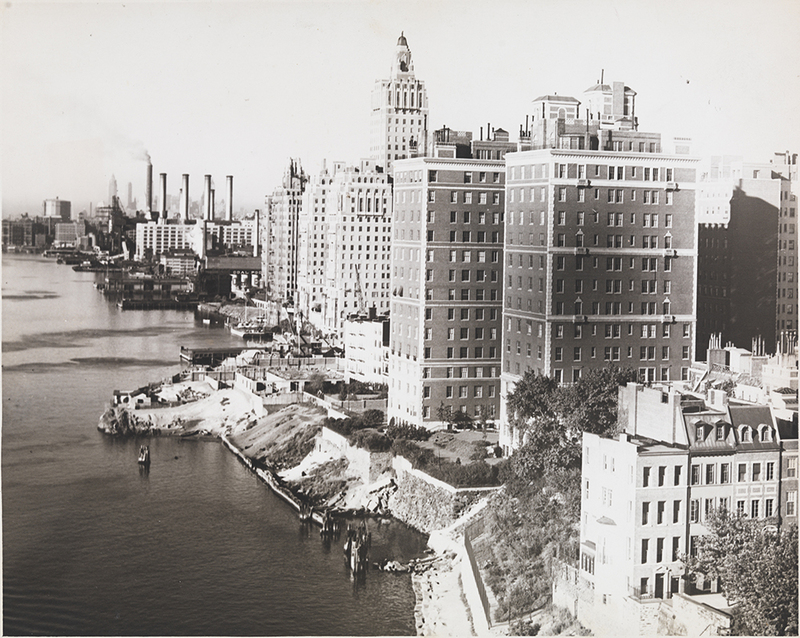 The seismic evolution of New York City’s urban fabric during Rosario Candela’s professional career is startling and alludes to the contemporary state of intense development in the city. 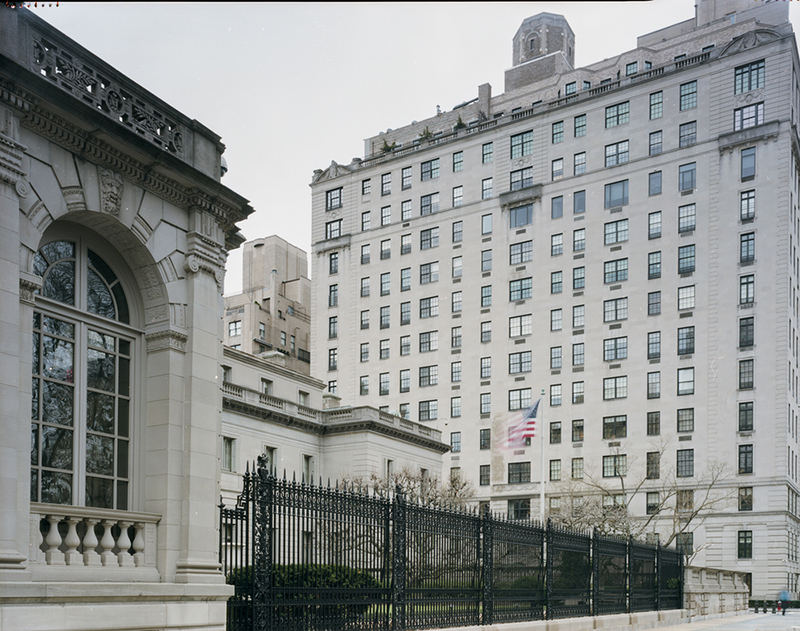 However, the continued allure and prestige of Rosario Candela’s body of work, from the Art Deco 740 Park Avenue to the Georgian-Renaissance blend of 770 Park Avenue, raises the question of whether the city’s current development boom will leave the same storied architectural legacy.